Source: Agence France-Presse | Clip Syndicate. France’s largest wine-making investment in Argentina has turned 10 years old. The “Clos de los Siete” project is a collaborative effort between seven French families, each with a chateau in the Bordeaux region. 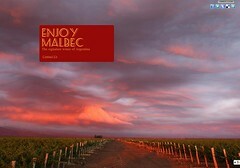 They share 850 hectares of vineyards in Argentina and now export their wine to over 40 countries.